Officials signed an agreement this week to build a Galileo Reference Center in Noordwijk, the Netherlands, just across the road from The European Space Agency’s European Space Research and Technology Center (ESA/ESTEC). 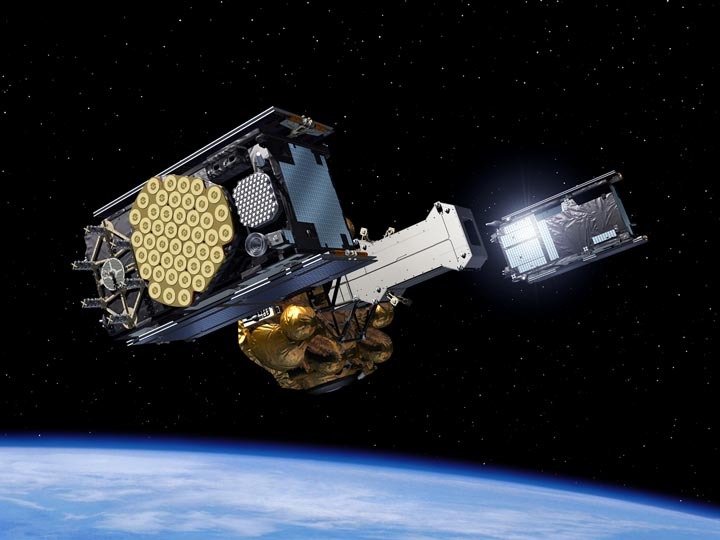 The Galileo Reference Center (GRC), to be administered by the European GNSS Agency (GSA), will monitor and assess the quality of the delivery of Galileo services, i.e., the performance of the Galileo Service Operator. The GSA is currently selecting said service operator through an arduous tender process. Signing the agreement to build the new GRC in Noordwijk were Elzbieta Bienkowska, European Commissioner for Internal Market, Industry, Entrepreneurship and SMEs, Melanie Schultz van Haegen, Dutch Minister of Infrastructure and the Environment, and GSA Executive Director Carlo des Dorides. Speaking at the European Space Solutions conference in the Hague, where the signing took place, des Dorides said the GRC will, by definition, operate independently of other GSA, ESA, and Galileo facilities, but, given the proximity of ESA/ESTEC, which will be literally across the street, there could be some sharing of ESA facilities. ESA’s top Galileo man, Paul Verhoef agreed that some contact may well take place between ESTEC and the new GRC, but said the practical details of any operational exchange are yet to be worked out and might need to be included in the proposal for the expected GSA/ESA working agreement, to be considered by the ESA Council later this year. In turn, he said, any such arrangements may also have to be considered and formalized by relevant parties at the GSA and the European Commission. Interestingly, ESA Director General Jan Woerner, when asked, said he knew nothing of the new Galileo Reference Center and had not heard of it until the day of the signature. One unnamed official suggested Woerner simply didn’t need to know, and that is quite possible. The clock is certainly running, with the new Center to play a key role in Galileo operations, and with initial services now set for launch later this year. The GSA’s Peter Buist said he expects to play a role at the GRC, but again the details are still sketchy. He was not able to say whether staff will consist mainly of new GSA recruits or existing personnel currently working in Prague or at other GSA facilities. The main thing, says des Dorides, is that the GRC should be able to deliver a precise and unbiased assessment of the quality of Galileo services being delivered. The center will have the full cooperation of European Union member states and access to their facilities, and will perform dedicated campaign-based analyses and generate performance evaluation data and reports. The GSA says its GRC version 1 will be in place in time for initial services with the complete “core facility” operational by 2017.